Two trades highlighted this week’s MLB Hot Stove transactions. One, an all-star blockbuster and the other swapped players of need for both clubs. The Detroit Tigers dealt Prince Fielder and $30 million to the Texas Rangers for Ian Kinsler. 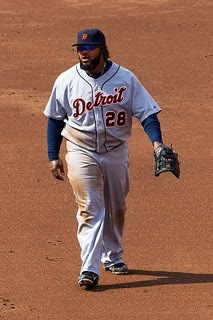 Fielder, who signed a nine-year, $214 million contract with the Tigers just two seasons ago, fills a void in left-handed power for the Rangers. Kinsler’s arrival in Motown gives the Tigers an all-star second baseman conceivably set to replace Omar Infante who declared free agency earlier this offseason. It is easy to see both sides of this transaction, and to assign a winner or loser is always in the eye of the beholder. Look each team feels they made their club better. We can debate all we want about who did better or who made a mistake, but it certainly won’t change their perceptions. In this case, my opinion is that each side did well for themselves. The Tigers relieved themselves of some serious cash when they struck this deal. Watching Detroit general manager Dave Dombrowski work is often fascinating. Here he simply owns up to a mistake he made in the initial signing and turned it into something beneficial for the team’s future – gaining more cash in his pocket and one of the few offensive-minded second basemen in the league. Sure, the Tigers lost some serious money in the two years Fielder manned first base ($76 million including the $30 million they sent to Texas), but they’ve regained wiggle room for further spending either on this year’s free agent market or to use toward signing 2013 American League Cy Young Award winner Max Scherzer to an extension. Either way, the deal makes absolute sense at this time for the Tigers. For the Rangers, they got the bat they needed and while not cheap, they’ll pay Fielder just $138 million over the remaining seven years on the contract. If anything, they should get very good production from him over the next few seasons and by the time Fielder slows, $19 million-plus per season may not be such a hindrance, or so they hope. The move also cleared a space for prospect Jurickson Profar to place second base in Texas. The Rangers can now see what they have in Profar, who turns 21 during spring training, on a daily basis over a full season. Profar hit .234/.308/.336 in 322 plate appearances in 2013. This deal also provided the Rangers with some ability to trade either Profar or shortstop Elvis Andrus for top-notch starting pitching, and which would then signal positioning for a go at free-agent second baseman Robinson Cano. The Los AngelesAngels of Anaheim and the St. Louis Cardinals worked a four-player deal Friday which filled voids for both teams in areas where they felt they had depth. 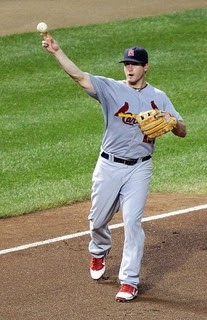 The Angels received 2011 World Series hero David Freese and reliever Fernando Salas, while the Cardinals netted center fielder Peter Bourjos and outfield prospect Randal Grichuk. A fresh start for David Freese? Freese, who had a down 2013 campaign (.262/.340/.381), after a career-year in 2012 (.292/.372/.467) will be reunited with Albert Pujols in Los Angeles. Salas had an up and down career with the Redbirds, netting 24 saves in the 2011 World Series season and then spending half his time in the minors in 2013. Bourjos, who will turn 27 in March, is an above-average fielder with significant speed and a little pop. He’ll be the everyday center fielder, giving Bourjos a chance to fully demonstrate his abilities. Grichuk was once rated as high as #4 on the Angels’ prospect listings according to MLB.com. As with the Detroit/Texas trade this one seems pretty well balanced in my view. The Cardinals are able to move Matt Carpenter to third base and hand over the starting second baseman’s job to Kolten Wong with Freese’s departure. Freese was also set to get a salary increase (approximately $4.4 million according to MLB Trade Rumors) via arbitration this winter which the Cards no longer have to concern themselves with. Bourjos, who could earn $1.1 million according to MLBTR, is considered an upgrade over anyone the Cardinals had in center last season. Grichuk adds more depth to the Cardinals system. The Angels are able to free up their cluttered outfield with Bourjos on the move and pick up an extra bullpen arm that they feel they can work with in Salas. In adding Freese, Los Angelesfills a need at third base which was not going to be resolved via their farm system or a thin free-agent market. It isn’t often that trades are consummated with major parts where an easy case can be made for both sides and when it is difficult to formulate strong assertions against the trade for at least one side. It happened twice this week, something that kept the hot stove as unpredictable as ever.